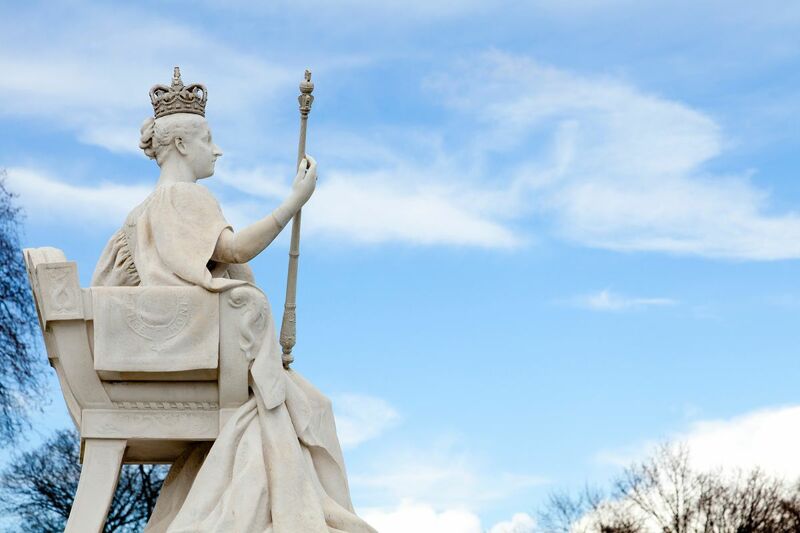 Designed by Princess Louise (Duchess of Argyll) in 1893, this marble statue shows her mother, Queen Victoria, in her coronation robes in 1837 at the age of 18. 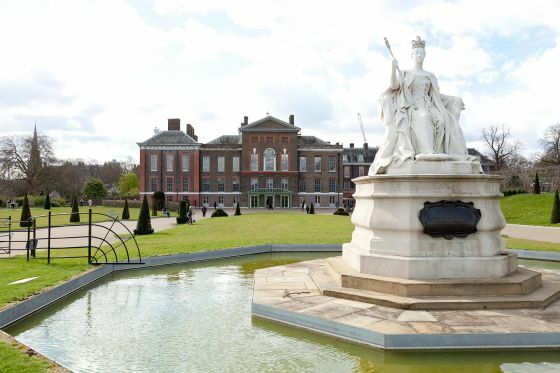 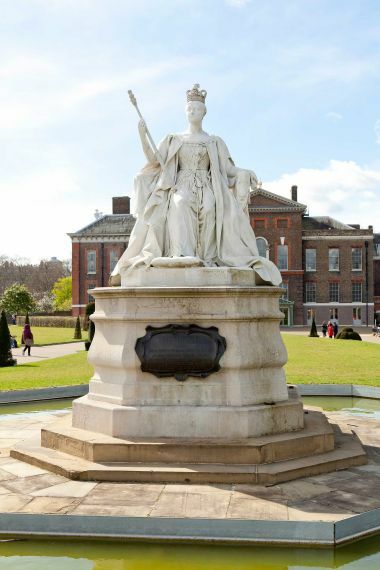 Queen Victoria was born at Kensington Palace and grew up there, under the strict supervision of Sir John Conroy, until summoned from her bed in 1837 to become queen. 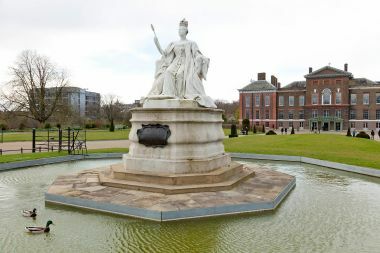 The statue was presented by the Kensington Golden Jubilee Memorial Executive Committee.